« Panhandling Tips in Vermont. Vermont had a classic late summer weekend, with clear skies, warm days and pretty low humidity. Just perfect. My friend Craig introduces his new pal Saint as both enjoy warm summer sun Saturday in Wells River, Vermont. 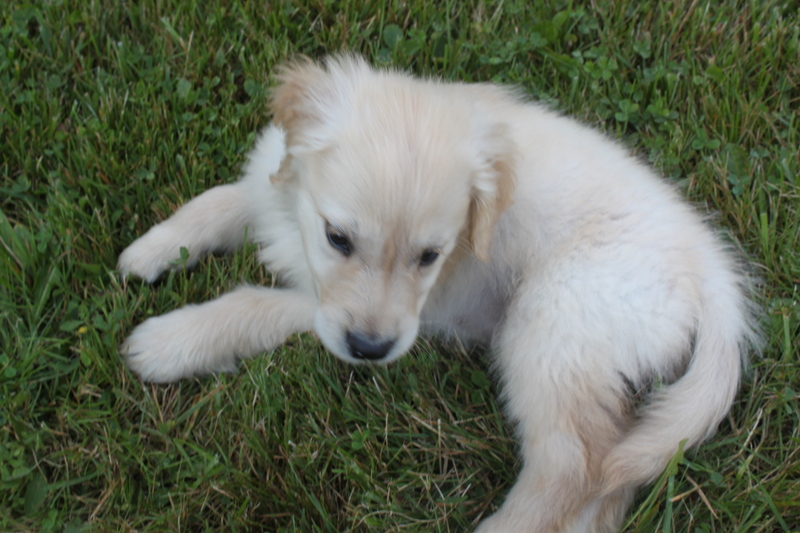 Visiting friends in Wells River, Vermont, I met up Craig and Todd, who have a new addition to their family: A golden retreiver, nine weeks old, named Saint. There’s a picture or two in this post if you like cute dogs, like I do. Even the end of the weekend, tonight was glorious, as I watched the sun cast long shadows on the hills near Enosburgh, Vermont. 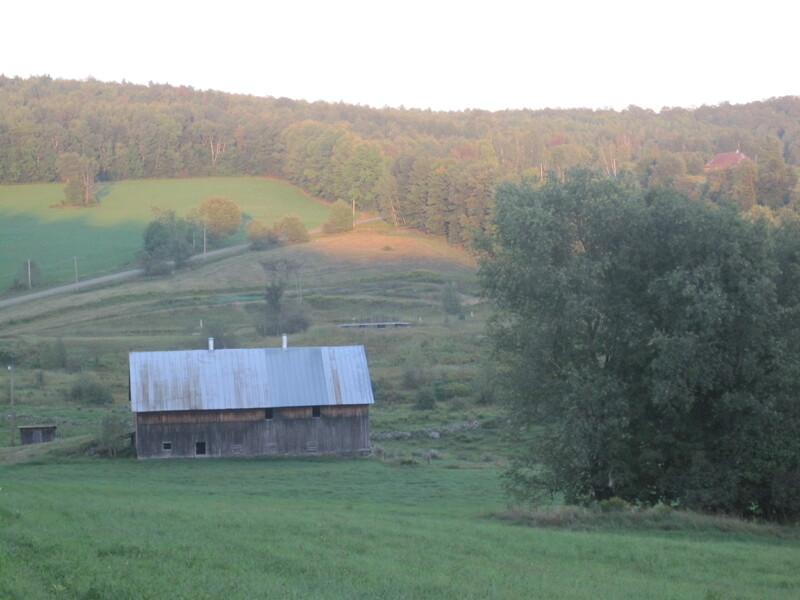 Shadows grow as the sun nears the horizon on a warm, hazy evening near Enosburgh, Vermont Sunday. Saint finds some cool grass to explore on a warm summer day in Wells River, Vermont Saturday. This entry was posted on August 30, 2010 at 1:06 am and is filed under Uncategorized. You can follow any responses to this entry through the RSS 2.0 feed. You can leave a response, or trackback from your own site.